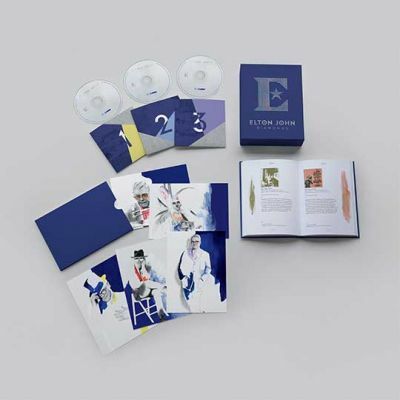 We are selecting Diamond Moments from Elton's 50-year career to celebrate the November 10th release of Elton’s ultimate greatest hits collection, 'Diamonds'. Pre-order "Diamonds" in the store now. Today we look back at Elton’s 1974 Tour of North America. Following a summer “off” where, amongst other things, they recorded the Captain Fantastic And The Brown Dirt Cowboy album and the non-LP singles Lucy In The Sky With Diamonds and Philadelphia Freedom, Elton and his band launched their biggest American tour yet… and his eighth in just four years. Tickets were nearly impossible to get and the people lucky enough to obtain them often had to sleep out overnight at the venue's box office window months or weeks in advance in order to do so. 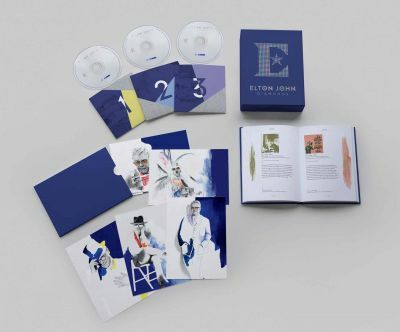 Supporting Caribou (which had been released six months after it was recorded in January) and Elton’s first Greatest Hits album (issued in November), the tour comprised 45 concerts in 31 cities over a period of 70 days. It began at the Dallas, TX Convention Center on September 25 and ended at The Spectrum in Philadelphia, PA on December 3. The total distance travelled? Roughly 16,000 miles. This torrid pace, an average of one concert every 1.5 days, necessitated the use of a private jet. 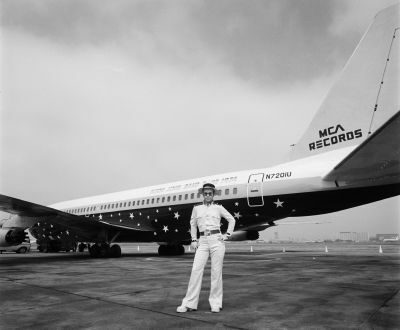 Nicknamed “The Starship” and emblazoned with “Elton John Band Tour 1974” along the fuselage, the custom-designed (bedroom, fake fireplace, 30-foot brass-trimmed bar with electric organ included, etc.) 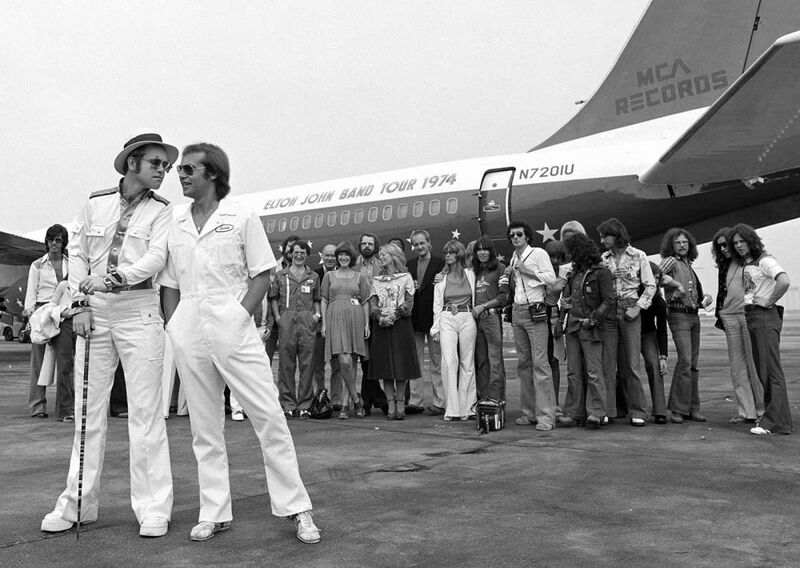 Boeing 720 had also been used by Elton the year before and allowed the band to use a few cities across America as hubs…as opposed to having to travel from venue to venue and hotel to hotel as the tour worked its way across the continent. Two of these songs sounded noticeably different live than they were on record. Daniel was given a pseudo-samba feel and percussionist Ray Cooper won fans over with an extended duck call solo on Honky Cat. 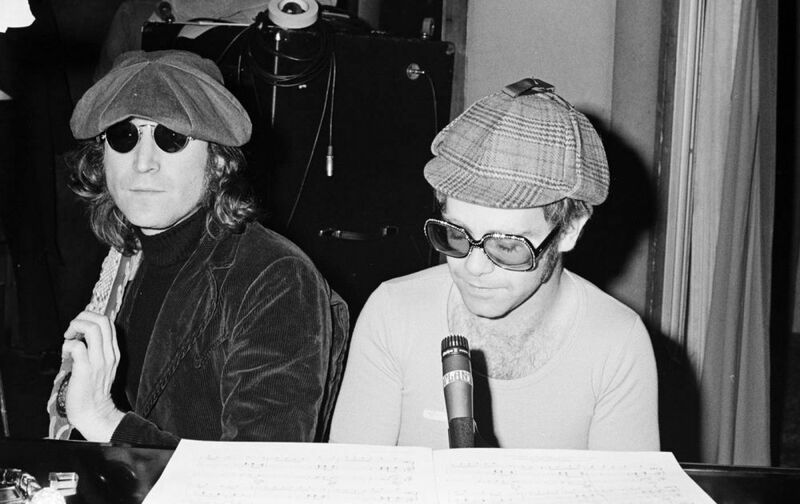 By any measure, the biggest show of the year was on Thanksgiving evening, when John Lennon joined “Elton and the boys” on stage for three songs at New York’s Madison Square Garden: Whatever Gets You Thru The Night, Lucy In The Sky With Diamonds, and I Saw Her Standing There. What wound up being the former Beatle’s last concert performance, and a career highlight for everyone in the band, was included on the 1995 re-issue of the Here And There CD. 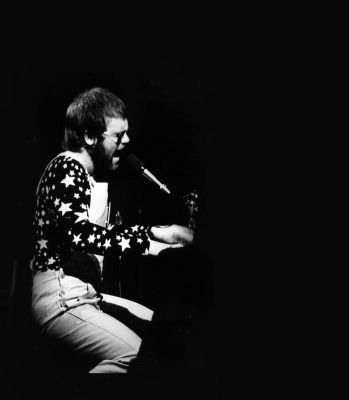 Elton's popularity in the US was staggering at the time; he was in the midst of a flurry of #1 albums and hit singles. During most weeks of the tour, Elton had two songs on the Billboard Hot 100 chart and three albums on the Top 200. Caribou and Goodbye Yellow Brick Road remained throughout; Don't Shoot Me I'm Only The Piano Player was replaced by Elton John's Greatest Hits (all four were #1 albums).